Two months after the leaders of Bulgaria's ruling coalition decided to make a new effort to reform the healthcare, the prospects that private funds would finally be allowed to compete with the state-run National Health Insurance Fund (NHIF) appear slim for the time being, Business New Europe reports. The law drafted by two MPs has been submitted for review to the cabinet and the World Bank, which has lent Bulgaria tens of millions of dollars for healthcare reforms, in July. It has been roundly and extensively criticized by the financial institution and the medical community as being "chaotic," unclear and inefficient. In its current version, the proposal envisions three stages to the process. Consumers will have to pick a private fund until the end of 2008, followed by a transition period of one year (2009), during which private health insurers would co-exist on the market with NHIF, splitting the proceeds generated from mandatory health insurance contributions and covering the costs of the basic package of health care services in tandem. Starting from 2010, the private funds would be allowed to fully compete with NHIF. The main criticism levelled by the World Bank is that the proposal is unrealistic in terms of the time it gives both state institutions and private funds to prepare for the transition stage, scheduled to begin in January 2009. To start with, Bulgaria is yet to draft a number of key documents that would regulate the sector, including the national framework agreement outlining the responsibilities and rights of the state, healthcare insurers and hospitals, or the national healthcare charter, outlining the standards that all participating stakeholders would have to uphold. Talks on the new framework agreement have been delayed as it is, with Bulgaria's doctors union demanding a higher budget allocation for health care in 2009. Rather than drastically overhauling an underperforming sector, the draft law makes use of the same practices that made it inefficient in the first place. 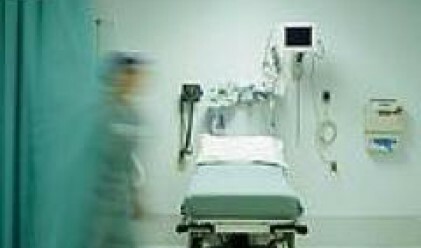 The very fact that the government plans to continue using a framework agreement, which disregards the difference in the quality of services and offers equal payment to all hospitals, is a "serious problem," according to the report. In some respects, the draft law offers little prospect of deregulation at this time, because with the exception of a small number of hospitals, all healthcare providers are still owned by the state. Earlier this year, parliament voted to allow hospitals to be put in private hands, but little work has been done in that direction since then. The Health Care Ministry faces a "serious conflict of interests" as it continues to provide healthcare through the hospitals and would become the regulator of private funds if the draft law is passed in its current version, the World Bank said. Even though private funds would be given freedom to design new insurance products, their ability to compete would be hampered by higher administrative costs imposed in the draft law and the fact that the size of the mandatory health care contributions would continue to be set by the government. The questions raised by the World Bank report have been echoed by the medical community, which has criticized the secretive way in which the law has been drafted. "It is some attempt for a creative development of the [current] model, which cannot be accomplished. Changes are not made in complete secrecy, everyone must have their chance to give their feedback," the head of the Bulgarian doctors union, Andrei Kehaiov, was quoted as saying by local business weekly Capital. The senior partner in the ruling coalition, the Socialist party, has agreed to the draft law only in the face of pressure from his coalition partners, who have demanded quick reforms. Socialist Prime Minister Sergei Stanishev, however, has steered clear of making any promises concerning such a sensitive issue as healthcare. Even though public opinion favors reforms in the sector, general elections are scheduled less than a year away and the Socialist party has so far showed every intention of passing the problem to the next cabinet, which would further delay the entry of private health funds to the market.